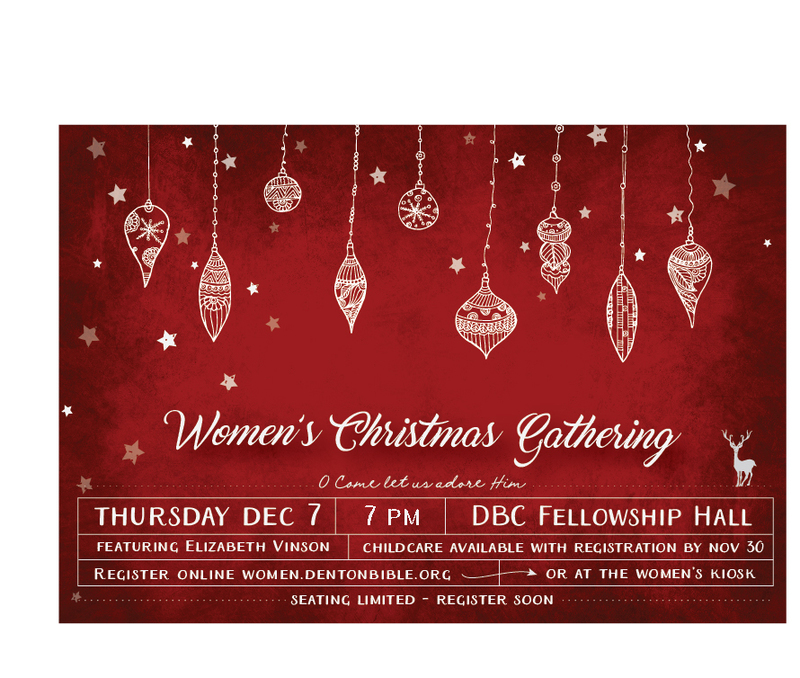 Thursday, Dec. 7, 7 p.m., DBC Fellowship Hall. Featuring Elizabeth Vinson. Childcare available with registration by Nov. 30. Register here, or at the Women’s Kiosk. Seating limited — register soon!